Minnesota physicians make a BIG impression when we gather in white coats at the state capitol. You have an important perspective and lawmakers need to hear from you. 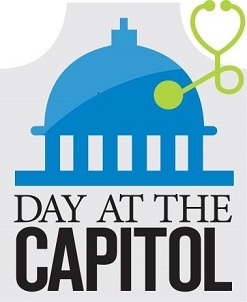 The MMA Day at the Capitol is a perfect opportunity for you to advocate for your patients and profession. Join your fellow physicians and medical students to meet with lawmakers, network and further our work on behalf of Minnesota’s physician community. Make your voice heard at the Capitol.